DENVER - When Sophia entered their lives, their mission became clear. They would devote their time and energy to creating the world's leading research and care center for people with Down Syndrome. One family's mission is coming to fruition in Colorado. The Anna and John J. Sie foundation is committing $34 million to establish the new Linda Crnic Institute for Down Syndrome at the University of Colorado Denver's Anschutz Medical Campus. The institute will have the single research focus of eradicating the ill effects associated with Down Syndrome and will be the first to comprehensively address basic research, clinical research and clinical care all under one umbrella. After years of due diligence and in the face of steady decreases in National Institutes of Health (NIH) funding for Down Syndrome, the Anna and John J. Sie Foundation decided that the best hope for real break-through and advocacy was a combined force made up of the University of Colorado Denver, the University of Colorado at Boulder, and The Children's Hospital in Aurora. Each organization has committed space, personnel and overhead to the Institute and it will be managed out of the Anschutz Medical Campus. 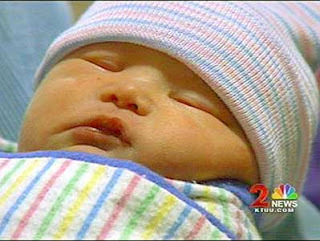 Anna and John J. Sie have high hopes for their granddaughter Sophia, born five years ago with Down Syndrome. Their family is determined to significantly enhance the lives of all people with Down Syndrome. Chancellor M. Roy Wilson stated, "It has been a pleasure working with the Sie family in establishing this premier Institute here at the University of Colorado Denver. They bring a unique combination of philanthropy, family focus and business acumen to the table. The first $1 million in research grants that the Sie's supported in 2006 has already started to bear fruit. We are confident that insights that might be unimaginable today will soon be within our grasp due to the work of this Institute." The Institute will aggressively recruit the best and brightest talent worldwide ? both inside and outside the field of Down Syndrome and is expected to grow into a $150 million organization within ten years with staff estimated at more than 160. World-renowned neurologist, William C. Mobley, MD, PhD, has signed on as the Executive Director of the Institute and has been a life-long advocate for Down syndrome related research. "One of the focuses of the Linda Crnic Institute for Down syndrome is to better understand ways to improve the cognitive ability of people with Down syndrome. We are going to do that by chasing down the genes that are responsible for the problems with cognition that happen in children" said Dr. Mobley, executive director of the Institute. "Through research and improved care, we can make it easier for them to go to school, make friends, have jobs, get married and ultimately live independently. We will help them live richer, fuller lives." One in 733 babies in the United States is born with Down syndrome. A chromosomal disorder caused by an extra chromosome, more specifically, the presence of all or part of an extra 21st chromosome. The condition is associated with impairment of cognitive ability and an increased chance of various medical issues. An estimated 400,000 people in the United States have Down syndrome and millions more worldwide. Leslie Leinwand, PhD, of the University of Colorado at Boulder and Denver has served as the Interim Director of the Linda Crnic Institute. She said, "The establishment of the Linda Crnic Institute by Anna and John J. Sie Foundation is a landmark event for research in Down syndrome. This Institute will attract the best and the brightest minds to Colorado to tackle this complex problem to work with our existing outstanding faculty. "Sophia has been such a blessing in our lives and has led us to meet brilliant and huge hearted scientists such as Linda Crnic, Leslie Leinwand, Larry Gold and the wonderful new leaders at the University of Colorado and The Children's Hospital. It has given my wife, Anna, and I a whole new purpose in life and Sophia's parents, Michelle and Tom Whitten, have been laser focused on understanding what we can do better for not just Sophia but for generations of people with Down syndrome to come. We are grateful that the best place to effectuate real change and discovery happens to be in our own back yard," said John J. Sie.